How Often Should I Have My Spine Checked? "How often should I have my spine checked?" This is a very frequent question I receive as you can imagine. So how often should you have your spine checked? Well, it depends; the spine is part of the most complicated, fragile, and amazing systems of the human body, the nervous system. The nervous system is responsible for the function of every organ and cell in the body. Every time you take a breath, digest your food or move a muscle, the nervous system is at work. So it is on paramount importance to your health that this system is functioning as close to 100 percent as possible. The question then becomes, how do you know if your nervous system is functioning at 100 percent? The truth is, there is no way to know for sure without professional help. That is what a chiropractic check up does; it accesses the function and form of the nervous system. For those who have not had regular spinal check-ups, most will suffer from arthritis of the spine. This disease affects more people than heart disease, diabetes or even cancer, yet it sadly goes undetected in millions and can be prevented in most if caught at an early age. 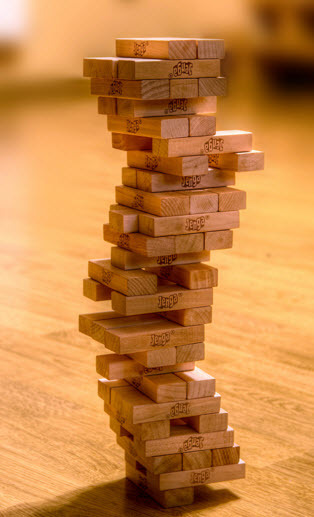 You see, the spine is composed of 26 moveable bones that are stacked on top of each other sort of like the game Jenga. This structure is then held together by ligaments, tendons and muscles… hundreds of them. This spinal column houses and protects the spinal cord and spinal nerves that branch out 65 thousand miles to control each cell and coordinate each cell to function with every other cell… giving you life. This nerve system is pretty complicated and pretty fragile, but if it is maintained properly it can be your best ally in staying healthy. A properly functioning spine and nerve system allows information to flow freely between your body and your brain. This in fact is the ultimate in mind-body health. So you can expect better physical health and more energy on a daily basis. A healthy spine also allows you to move freely and without pain for your entire life. Having regular spinal check-ups are only part of good spinal “hygiene.” Exercise, eating right, drinking plenty of water and relaxation techniques are also important parts of the puzzle. So how often should you have your spine checked? It really depends on your particular case. If you are over 20 and never had your spine checked, chances are that arthritis has already started to set in and you might need checked more often at first. If you started getting spinal check-ups since birth and taken care to follow the other steps then you might only need checked a few times per year. The only way to tell for sure is to have a chiropractor examine your spine and show you exactly what condition you are in at this point. But remember this; you would never wait your whole life to get your teeth checked until you had pain. Your spine is truly your life line and your spinal check-ups will make you feel great and function great as well. Get checked soon and get well soon!